I’m revamping the website to reflect where we are at the moment, and to be honest I really neglected the old one; sporadic and few blogs, only a couple of videos and a lot of time in between. I would love to say I’ve turned over a new leaf and am now dedicated to this part of our project; so I’ve turned a new leaf and am now dedicated to this part of our project. It’s going to be a slow process because I’m not inclined to do things at any great rate of knots, however it is my intention to do stuff and stuff I shall do! The where has many convolutions, including spending much time in Santa Fe, New Mexico. We built an outrigger canoe and got away to hang out in the Sea of Cortez for a while, which as one of my sons said, “sounds like it should be in a pirate movie,” and then we returned to New Mexico. 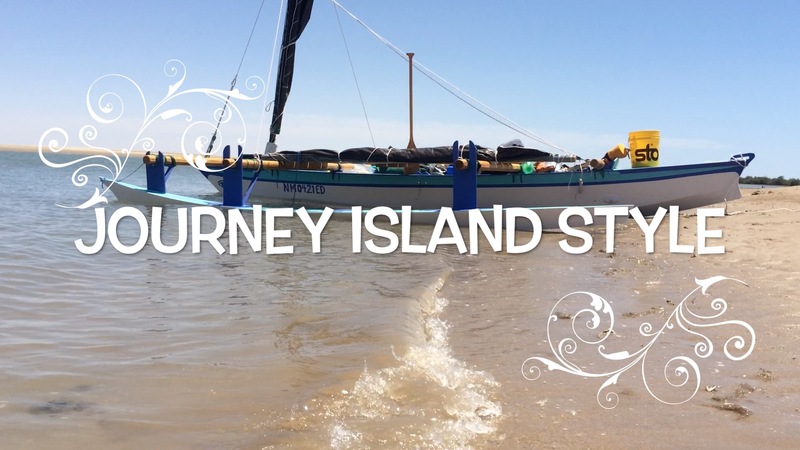 I built another hull to make the outrigger into double canoe and mooched around the Florida Keys for a short while…and then returned to New Mexico. We transported two separate halves of a 35 foot catamaran, in two separate journeys from near Galveston, Texas to Pirates Cove, Alabama (500 miles one way) on a modified car hauler, then returned to New Mexico. Finally, we’re rebuilding the 35 foot catamaran in Josephine, Alabama. She is a Tangaroa 35 designed by James Wharram in the U.K. Initially she will take us around in local waters as we get to know each other then perhaps the Great Loop, then maybe the Caribbean for while and across the Atlantic to Europe. As we progress through this whole adventure we should be blogging, photographing, and creating videos so that anyone could, theoretically, experience these things vicariously and enjoy the adventure juices that hopefully will flow as a result. This has been going on for the last 5 years, we’ve explored different ideas and concepts and have found many ways that do not work for us. Hopefully this will be the start of a very interesting chapter. My wife Casey, our two cats, Portside and Starboard,… and me Shaun.